Hi guys, I've just joined the forum, and this is my first post. 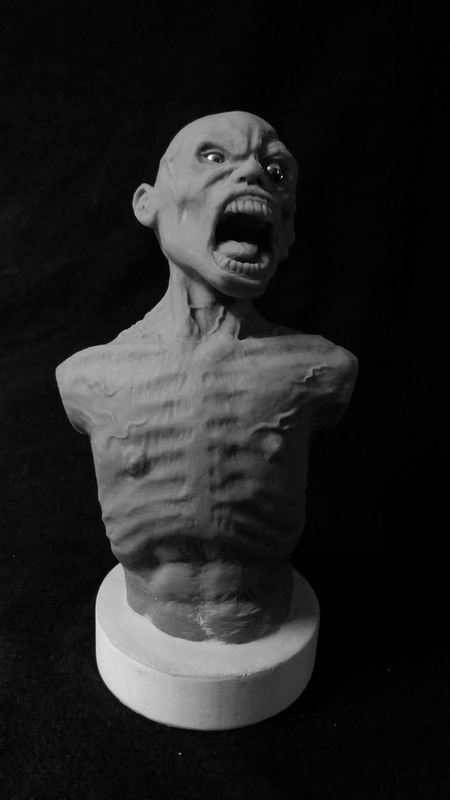 I've been doing some sculpting over the last 9 months, after not doing anything for 10 years. I thought I'd share this with you guys, hope you like, and any constructive criticism is welcome. Hi Darren, and welcome to the forums! 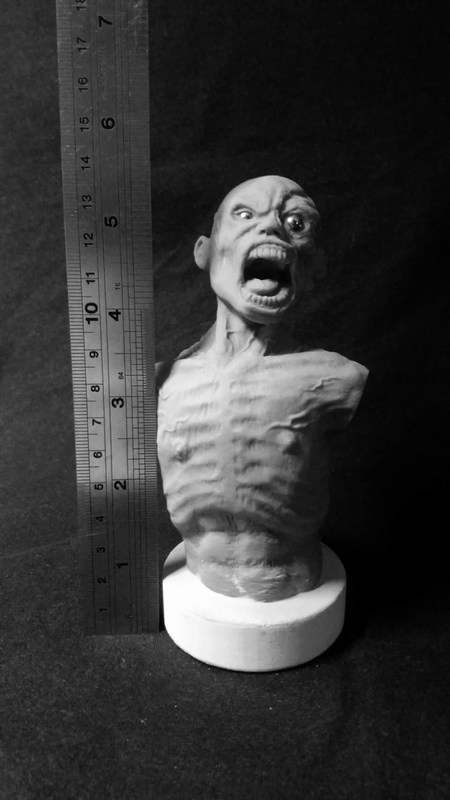 Great job on your sculpt. I love the vein and ribcage details. Hope you can share more of your work with us here! 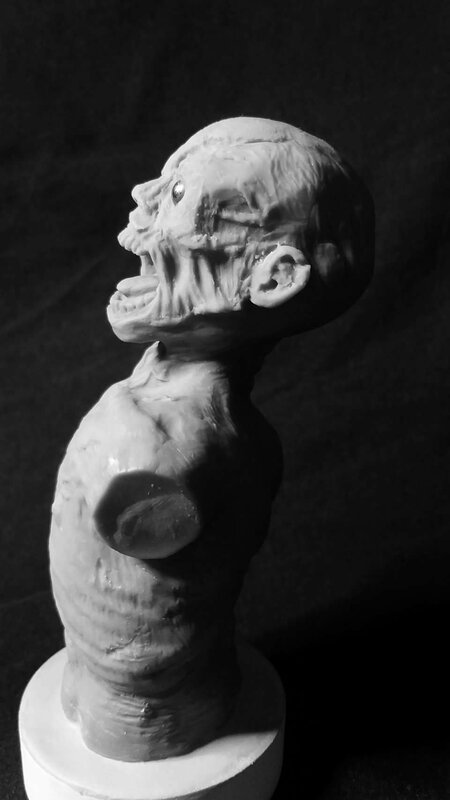 hey hello there, cool zombie with nice details. 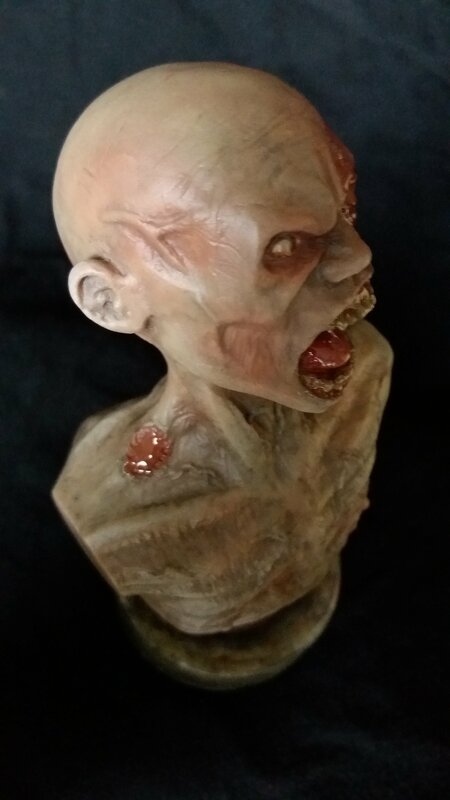 Zombie mini bust all painted up and I've refined some of the sculpt a little. Looks quite horrific, I think, just as I wanted. 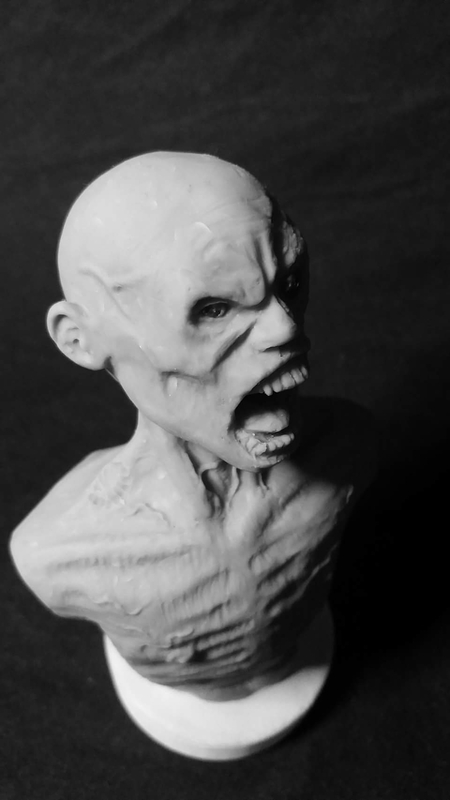 I'd originally planned to mould and cast this, but it would be to costly at the moment. So i decided to paint it up. Which clay and paints have you used? 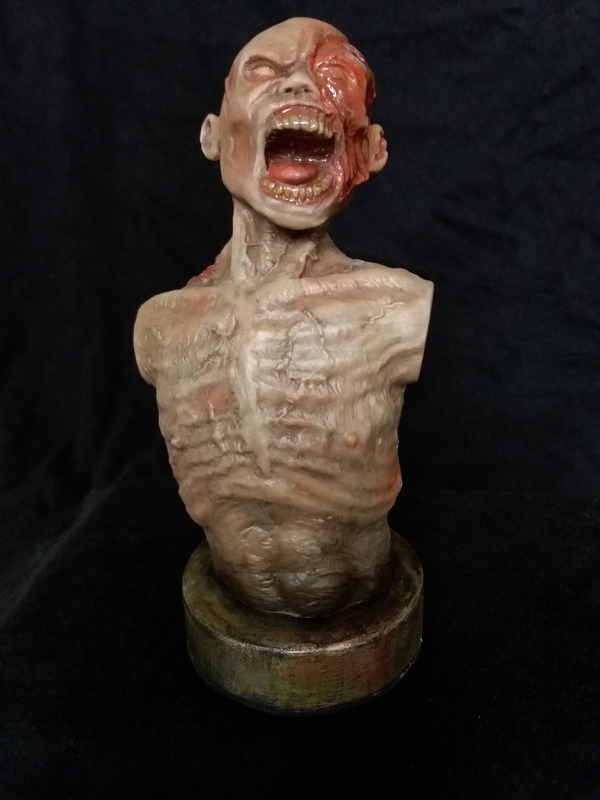 Its just super sculpey, and com - art acrylics. Epoxy glue for the "wet" bits.